Commuting To Work In Melbourne? Check Out The City's Bike Maps. Whether you’re commuting to work, university or simply for leisure, we at Lekker understand that at some point in your journey, you might be met with some potential obstacles and confusing situations – hook turns, roundabouts and tram tracks. Whether you’re on a Lekker Commuter Bike, an eBike, or any other ride – road and cycling rules can at times be difficult to understand – especially when there may be many different signs as well as traffic congestion. Regardless of your bike type, we feel it’s important to have an understanding of not only these road rules, but also the rules specific for cyclists – to help you cruise around with more ease and enjoyment. Below, we’ve outlined some of these key rules, as well as touched on a handy ‘tracking’ app that might assist you along your way. You’re able to find these rules in-depth online, here; https://www.melbourne.vic.gov.au/SiteCollectionDocuments/travelsmart-melbourne-map-low-res.pdf. Read on to hear about some of the key rules, as well as the handy fitness tracking app, ‘Strava’. Bike lanes / on-road paths have been implemented and designed to improve safety for cyclists on Melbourne’s roads. Cars are able to drive within these lanes only within certain circumstances, and if so, are only able to do so for 50 metres or less. Drivers must give way to cyclists, and cyclists must give way to walkers if the lane is a shared space. Bikes are classified as legal vehicles – inclusive of eBikes.. This means that you have the same rights and responsibilities when riding a bike as when driving a car. Cycling in traffic– remain visible and confident at all times. Take or share the lane– Depending on the speed and width of the lane – keep left or take the lane. Keep your distance– Maintain a safe distance between you and traffic hazards. Ride away from obstacles to increase your visibility to others. Use hook turns– If a normal right-hand turn leaves you exposed in an intersection, use a hook turn – more on hook turns further below. Don’t hug the gutter– Hugging the gutter will cause you to get squeezed out. Never weave in and out of empty car parking spaces to stay close to the gutter. Keep in a straight line and avoid the car door zone. Positioning in traffic– Be aware of drivers’ blind spots particularly when cycling alongside the rear of the car. Trucks have larger blind spots than cars, so leave some extra room. Don’t assume truck drivers can see you and do not pass on the inside of a truck that is turning left. Take the lane– As you approach a roundabout, move into the middle lane. When approaching single-lane roundabouts, give way to cars already on the roundabout. Regarding multi-lane roundabouts – watch out for cars travelling straight behind or beside you. It is illegal to open doors onto traffic– A person must not cause a hazard to any person or vehicle by opening or leaving open the door of a vehicle, or when getting off, or out of a vehicle. Watch the door zone– If you can’t see into vehicles, ride slower and move out of the door zone. Be aware of what might be behind you in case you do have to move across. Take the lane if you are being forced into the door zone. If the door opens– Use your brakes and slow down. Move out of the door zone but don’t swing into the traffic. If you get hit– If you do get hit by a car door and injury or damage results, it is a traffic accident and details must be exchanged. Trams operate at many intersections in Melbourne, and as a result, at some of these intersections, a ‘hook turn’ must be made if you are turning right. A hook turn, is a right turn however from the left lane. These intersections are clearly signed, so you shouldn’t miss it when you come across one of these intersections. For regular turns, there are a few key points to remember if you’re on a bike. Look over your shoulder for cars, and remember to signal before making a turn or making a lane change. Double check, too! Use hand signals to tell drivers where it is you’re going. Don’t change lanes abruptly. Signal your intended route – well in advance of your turn. If you do feel uncomfortable merging or turning – pull over to the side and wait until cars have passed. Bikes are allowed to pass other vehicles on the left except for when those vehicles are indicating a left turn. Signaling can help drivers and other cyclists to anticipate your next move. Talk with your hands and make eye contact with drivers. Some cycling paths within Melbourne, are shared with walkers. Remember to ride at a relaxed speed and to ring your bell, or signal ‘passing’ when you are about to pass others. Always give way to those whom are walking. 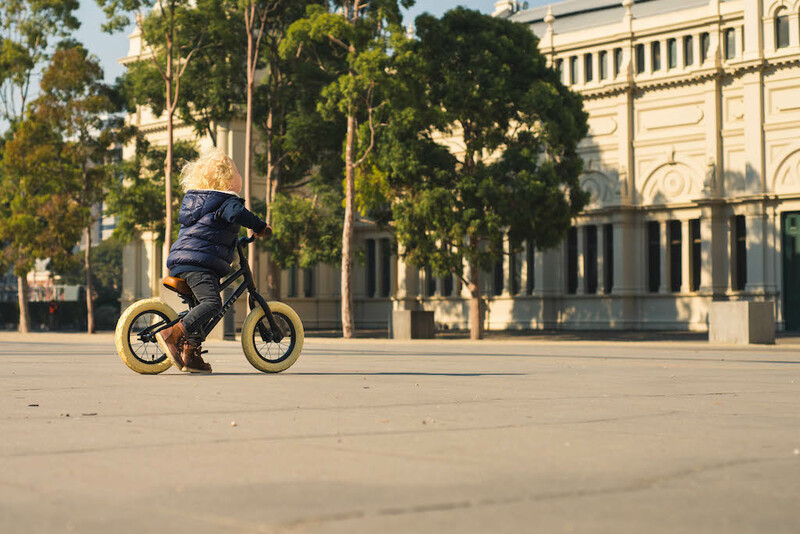 Some of Melbourne’s favourite destinations are shared spaces, so walkers and riders must get along. Remember to look out for signs and be prepared to share your space with others. Crossing Tram Tracks – Riding in the wet. Whether you’re on a Commuter Bike, an eBike or any other ride – when riding in the wet, it can be important to watch for slippery tram tracks, grates and metal covers – particularly when making a turn. It can help to squeeze your brakes gently before stopping – to clear water off of the rims. When it is wet, remember that your stopping distance might be quite a bit longer that what it is when it is dry. ‘Strava’ – App for tracking your rides. ‘Strava’ is a social fitness network application, that can be used to track either your cycling, running or swimming activities – through the use of GPS data. It is able to also provide you with statistics such as your distance, pace, speed and elevation level, and can provide these as comparisons to other users’ data. In addition ‘Strava’, can also be paired with other accessories and display information such as your heart rate and power data – a very powerful fitness application. Here at Lekker, we do take road rules as well as road safety to be of extreme importance. Knowledge and practice of road and cycling rules, can not only help you to be less stressed and have a more enjoyable ride, but also help you to stay safe and injury-free on the roads. 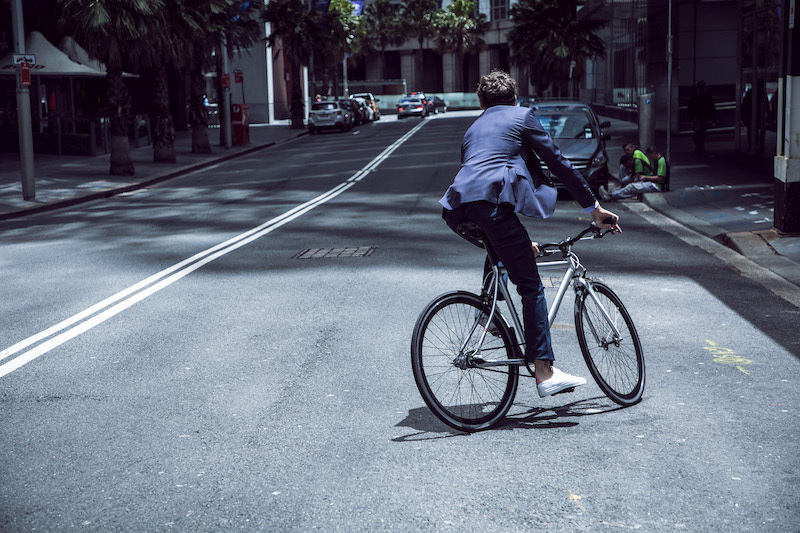 Whether you’re regularly cruising around on your eBike, your Commuter Bike, or whichever bike that you have – we hope the above article has provided you with some of the key information when it comes to cycling safety. The team at the Melbourne Bike Shop wish you a happy and safe next ride – wherever you may be off to!